Business video conferencing is increasingly becoming the communication medium of choice for disparate teams across the globe. As a significant portion of human communication is via body language, video conferencing is becoming a better communication tool than just having a conference call. Not only does it play a part in team building, it helps colleges share pictures, ideas and personality quirks easily over long distances. 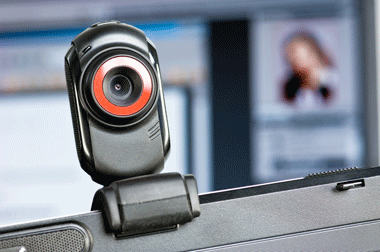 Video conference technologies have evolved significantly over the years. From the olden days requiring sophisticated camera and satellite broadcasting capabilities, we have now moved to internet based communications over broadband. Today’s video conferencing is best experienced in High Definition on large screens. CompareBusinessProducts has created Video Conferencing Comparison Charts and Buyer's Guides to help answer questions on the different video conferencing technologies and leading brands in the US market today. We invite you to download our FREE, thoroughly researched collateral to help you make a purchase decision. We also have access to most of the Video Conferencing vendors serving USA, and our easy form can put you in touch with local vendors serving your area for a quick, no obligations price quote.